There are some nights when we just want to have a decadent meal with or without celebrations. This luxury is better if you’re looking for a gratifying way to treat yourself in the middle of a workweek. Well, there’s caviar and champagne pairing dinner at The Peninsula Manila, if it’s right up to your alley. 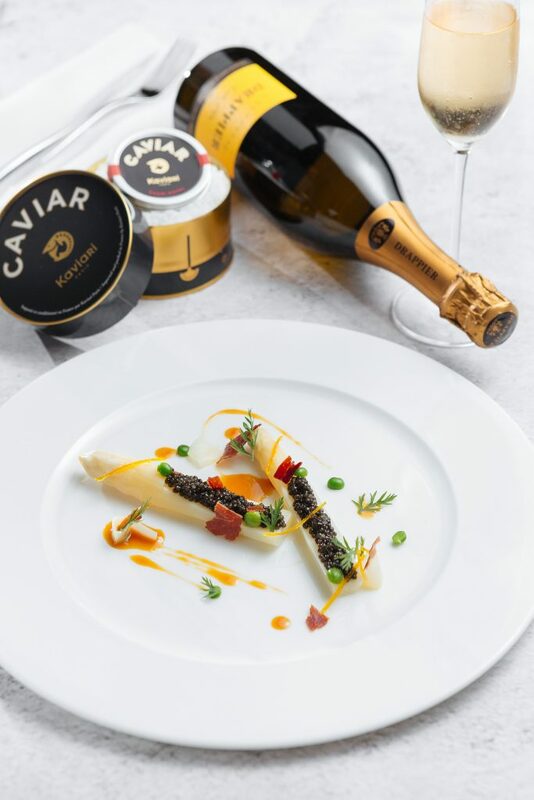 This food and drink pairing is one of the classics out there as the caviar’s high oil, fat, and salt content complements a nice, dry Champagne, refreshes the palate. On Apr. 10, Wednesday, The Pen’s 41-year-old signature restaurant Old Manila is bringing two legendary French purveyors of luxury food into the spotlight, the premium Champagne Drappier and top-shelf Ossetra caviar from Kaviari. Old Manila chef de cuisine Allan Briones will whip up a six-course degustation menu that will give guests “an opportunity to sample an array of memorable Ossetra caviar-driven dishes that will also showcase Champagne Drappier’s distinctive use of the pinot noir grape variety from the Aube region of France,” according to a press release by The Pen. Ossetra is known to be one of the most expensive types of caviar. It comes from the Ossetra sturgeon, which weighs 23 to 180 kg. and can live up to 50 years. The House of Kaviari is among the biggest names in the world of caviar and haute cuisine in France. Champagne Drappier, on the other hand, is regarded as one of the finest Champagne houses in France dating back to 1808. It was a pioneer in introducing the pinot noir grape variety in the Aube in the 1890s. The dinner is priced at P6,500 per person, exclusive of taxes. For inquiries or reservations, call The Peninsula Manila at 887-2888 loc. 6748 and 6749 for Old Manila or loc. 6694 for the restaurant reservations.